Many major Indian passenger car makers are doling out great discounts and attractive schemes, in order to lure domestic buyers towards their retail outlets. Big automobile companies like Tata Motors, Volkswagen, Nissan and Skoda have revamped their brand promotional strategies and are doling out mouth watering cash discounts, exchange offers, free insurance and benefits along with enticing loan rates, to the Indian buyers. The Indian arm of Volkswagen, a well-appreciated German automotive marque, is offering its flagship Vento mid sized sedan at an eye-popping retail price of Re. 1, in exchange for their old vehicle. The company is asking the buyers to pay the remaining lump sum amount either after one year or in 36 Easy Monthly Instalments (EMIs). At present, the stylish Volkswagen Vento comes within a price band of Rs. 7.3 lakhs and Rs. 10 lakhs in the Indian auto market. Nissan Motor India Private Limited (NMIPL), a completely owned subsidiary of Japanese multinational car maker Nissan Motor Co., has also joined the latest bandwagon of companies offering huge discounts and benefits on their new models. The auto major has announced a highly innovative campaign called 'Nissan Lowest EMI Challenge', with which it challenges Indian consumers to come with a better finance scheme. The offer is valid between March 6 and March 16, 2013 and Nissan Motor India has affirmed to reimburse the one who finds a better finance deal in that frame of time. Further details about the scheme can be availed at the Japanese auto major's retail outlets. Top car makers offering lucrative freebies to lure buyers to their stores. Skoda Auto India, a subsidiary of Volkswagen Group, has put its Rapid mid-sized model up for grabs at an EMI option of Rs. 8,999 in the domestic car market. 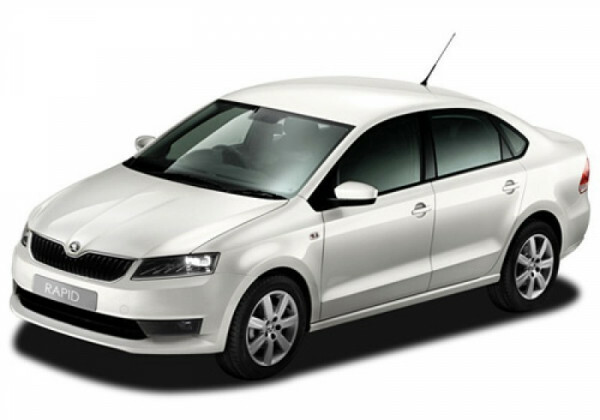 The uber-cool Skoda Rapid comes within a price tag of Rs. 7.2 to 9.8 lakhs in the country. After being hit with consecutive monthly sales drops Tata Motors, the country's largest automobile manufacturer, has literally reworked its entire marketing strategy in the Indian passenger car market. The company is offering its Nano entry level model with a 0 per cent interest rate on a credit card and an EMI of Rs. 8,333 on every lakh. Further, the diesel model of Tata Manza Club Class mid sized sedan carries a flat discount of Rs. 50,000 at the moment, whereas the Tata Indica hatchback is coming with a cash discount of up to Rs. 29,000. Honda Cars India Limited (HCIL), a wholly owned subsidiary of Honda Motor Company, has started its Mega Service Camp across its nationwide dealerships, from March 11, 2013. The week long camp will see the Japanese company offering a free 40-point check, tire and battery evaluation, along with a top wash of its models till March 17, 2013. HCIL is also offering a 20 per cent discount on car grooming services like anti-rust treatments. Further, the company is offering an additional year free on the purchase of Honda Road Side Assistance for 4 Years, besides other discounts and freebies.